The largest wind turbine in our family delivers over 3200 watts for large power requirements. With 10 years of operational history, the Whisper 175 has proven itself to be quiet and reliable. Over 800 Whisper 175's have been installed providing a dependable power supply for people around the world. If you have a large energy demand, this is the machine for you. Depending on the wind speed average, the Whisper 175 will provide enough energy to operate your entire home. 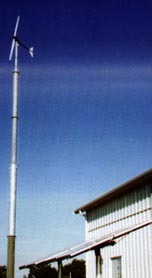 The Whisper 175 is used in countless applications from Village Power projects in the Caribbean to mountain top telecommunication sites in Washington State. With the High voltage option, the Whisper 175 can be located more than 2 miles (3.2 km) from the batteries. The upgraded yaw shaft is now 50% larger for greater strength. The Hub incorporates new support straps for improved blade stability. 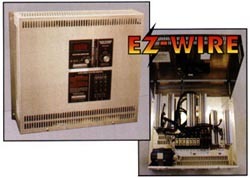 Standard with every Whisper 175 wind turbine, the EZ-Wire Charge controller is designed to control current from wind, solar and hydro charging sources to prevent battery overcharging. Simplify your system with one controller capable of regulating as much as 200 amps. 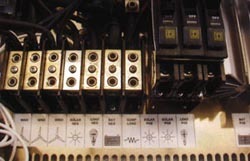 Excess power is diverted through a resistor bank that can be used for area heating. Bright LED display for easy monitoring of batteries and performance of wind and PV or hydro sources. Exclusive to the Whisper is the ANGLE-FURLTM, an incredibly effective, Whisper quiet, method of protecting the Whisper 175 in high winds. Unlike other wind turbines that lose as much as 80% of their output when furled, the ANGLE-FURLTM maintains maximum output in all winds.